Having unplanned bubble baths in your shower? Are your feet submerged in dirty bath soap water when you are done showering? 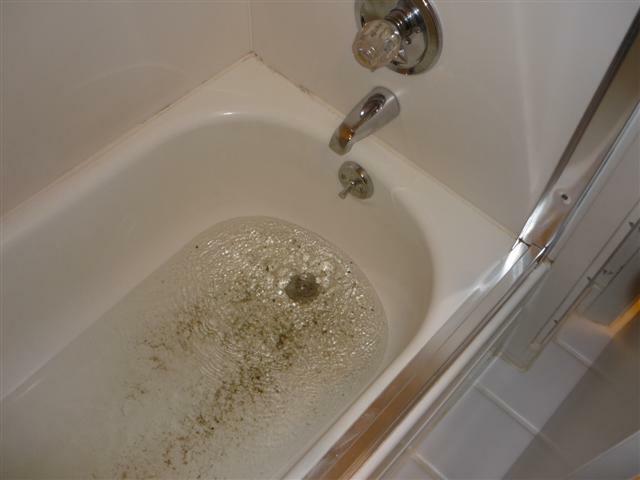 Soap scum and mildew building up around your bathtub because of a slow draining shower drain? These are some of the nuisances of a slow draining shower drain and/or a clogged one. A collection of hair, dirt, soap, soap scum build up, and oils are some of the things that may get your pipe clogged. Call Us at (808) 518-6808 to clear out that "pesky" slow draining shower drain. STAY TUNED FOR D.I.Y. TIPS TO TRY BEFORE YOU CALL US, THE PLUMBING GUYS! COMING SOON!